Sales has a bit of stigma attached to it, and all too often, prospects are on the defensive from the get-go. SaleCycle is using video to combat this phenomenon. Introducing sales representatives in a fun way can help potential customers feel more connected to your brand and the people behind it. SaleCycle uses videos like the one above to make a positive and memorable first impression. 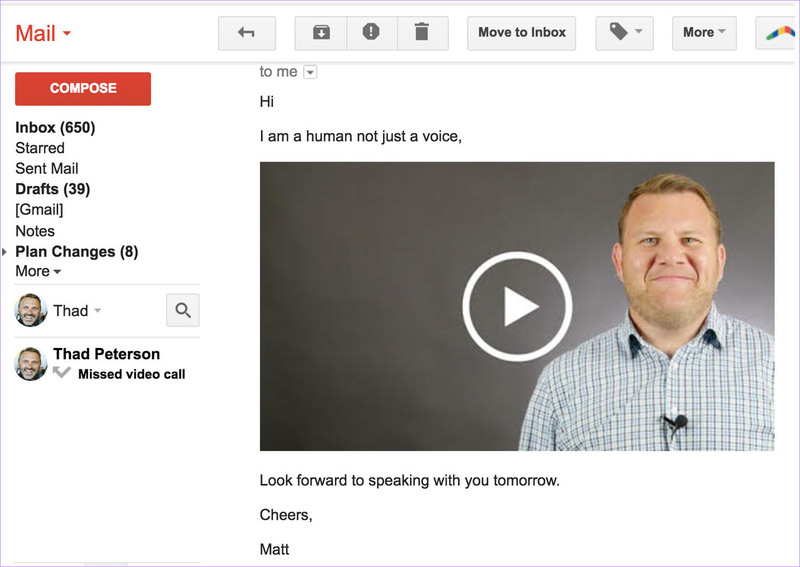 As soon as a demo call is scheduled, they’ll send an email to the prospect that includes a friendly video thumbnail. “Its purpose is to help the prospect put a face to a name before the demo, and also act as a friendly ice breaker. We felt video was the best medium for this, as it allowed us to get across some of our sales managers' personalities. We wanted to show our human side, and video allowed us to showcase some of our sales manager’s hobbies and interests. To achieve the clothes swap trick, we recorded the whole sequence twice — once with the sales manager in their normal office attire and once with them dressed in their rugby sports clothes. We then used the noise from the manager catching the ball to hide the edit between the two cuts. The video has so far proven to be very successful. Numerous prospects have replied to the email saying how much they love the video, and it’s acted as a great talking point for when our sales managers begins their demos. We’re really pleased with how the video turned out. It successfully gets across both the personality of our sales manager Matt, and our brand as a whole.